If you are looking for a golf outing or tournament for your group or organization, give us a call. Bedrock Golf Club can handle up to 60 people comfortably for outings. Available for 9 or 18 hole outings. Catering is also available for your golf outing to keep everybody happy. Add a luncheon, appetizers, cookout or full steak or shrimp dinner. Fully stocked pro shop for prizes and favors. It's a great day at Bedrock...give us a call today. Each year New England golfers put themselves to the test on our beautiful golf course. Bring your friends and colleagues to Bedrock Golf Club and experience it for yourself. 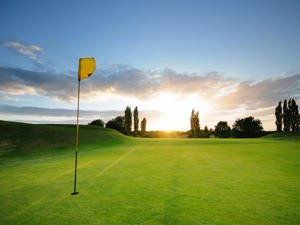 A golf tournament or group outing makes a wonderful escape from the hectic pace of the day. Whether to celebrate retirement or to raise funds for your organization, you can't beat a tournament at Bedrock Golf Club. The great golf and good times your group will have at your golf outing will make you want to return to Bedrock Golf Club each year. The affordable tournament packages make it easy to make it happen. Each year your friends and guests will look forward to your golf tournament. Make Bedrock Golf Club your choice for entertainment this year and we'll make it a grand success!